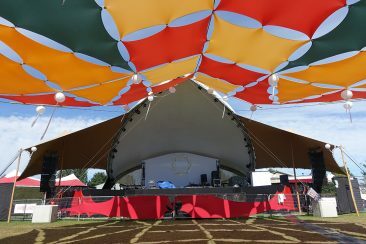 This is a 40 ft. Tentnology Saddlespan, which is mounted on a 5 ft high 40X32 ft stage. 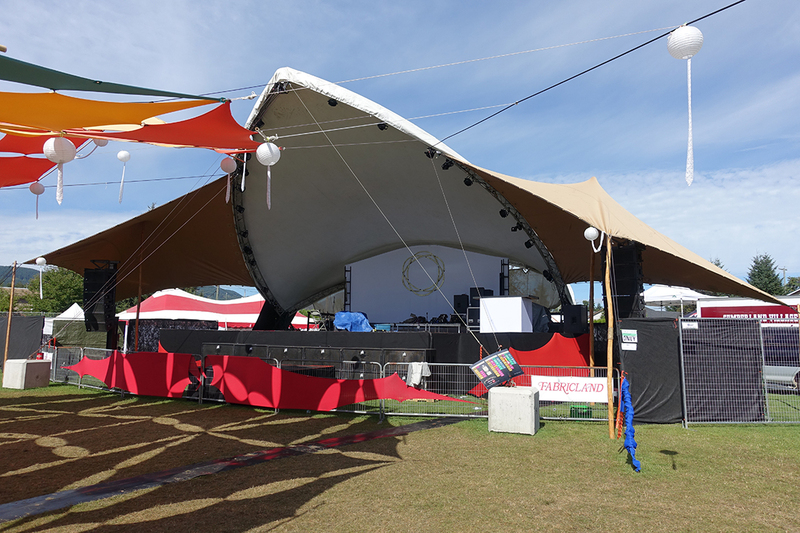 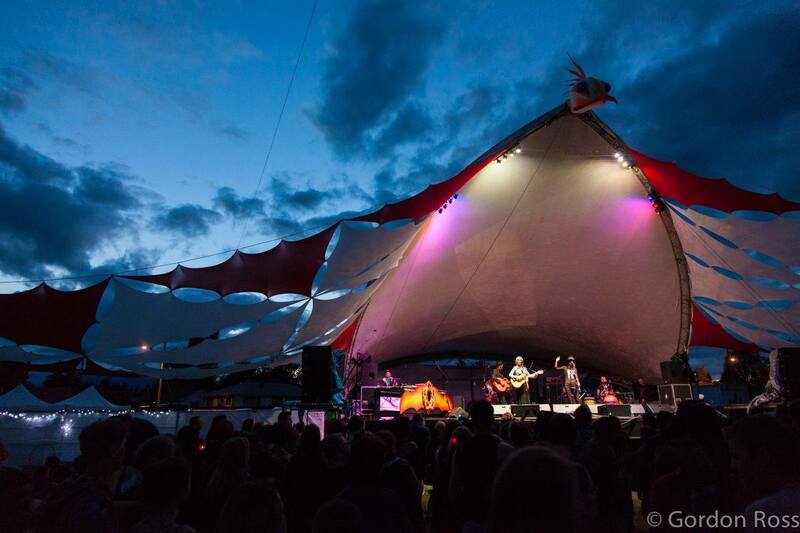 Both stage and Saddlespan can be rented separately for different applications. 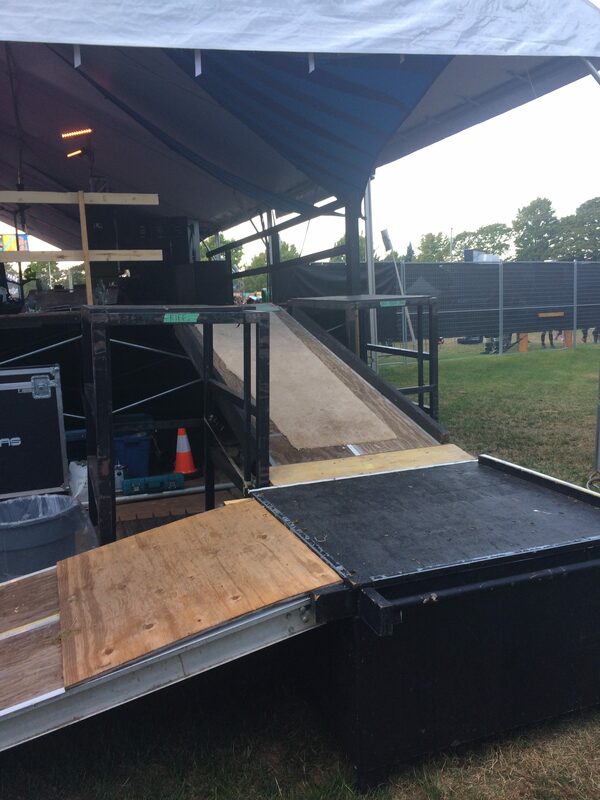 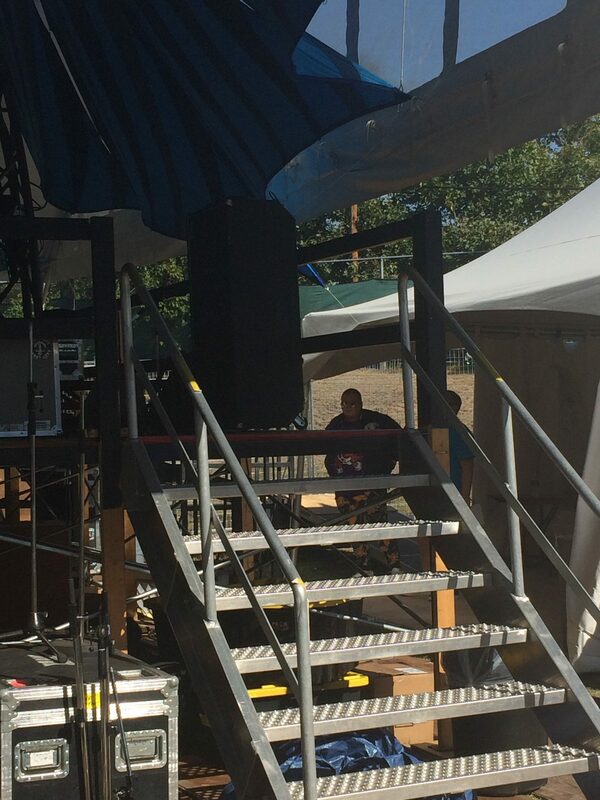 The Stage includes ramps and stairs which attach in what ever configuration fit your specific location.